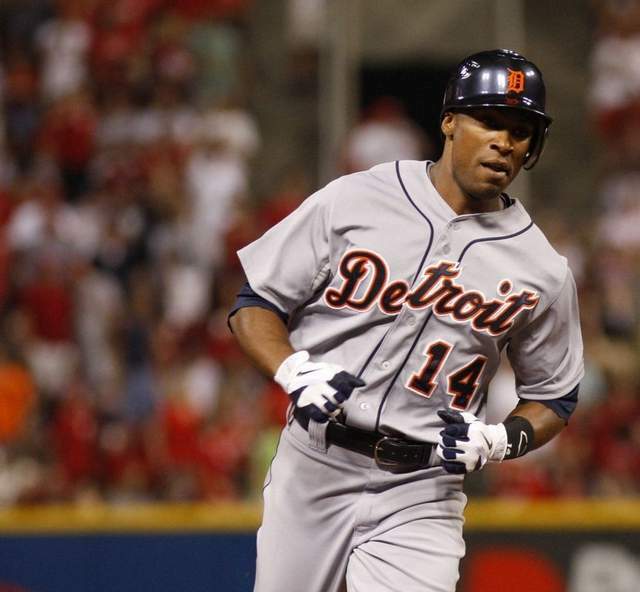 Advanced Fantasy Baseball: The Amazing Austin Jackson - For Real? Joey Votto? Albert Pujols? Matt Holliday? Chances are you got it right because you looked at the title of this post. However, that does not make Austin Jackson's season any less impressive. If that is not enough, the Tigers' star center fielder has already either tied his career high in homers (10) and is nearly on pace for highs in doubles, triples, homers, walks, runs, and RBI. That after missing three weeks while on the disabled list with an abdomen injury. For fantasy owners the only real disappointment in his season is the low number of stolen bases - just eight as of this writing. The low number of steals can probably be blamed in part on his increased power, as most teams discourage stealing third base and attempting to steal home and not making it can get a young player benched. The question you should all be asking is how much of this is improved skill and how much is just good fortune? Jackson entered the majors in his age 22 season. Three seasons in the majors and not yet in his prime - that is almost the recipe for a breakout season. His walk rate has improved two straight seasons from 7 percent to 8.4 percent to this season's 11.8 percent. That looks like real improvement. He has also cut his K percentage to 22.6 percent from last season's 27.1 percent which was a slight bump up from 2010's 25.2 percent. Jackson is swinging at fewer pitches out of the strike zone which is probably key to both improvements. In case you are wondering, Jackson's O-Swing has improved three years running. Jackson attributes his lower strikeouts to not chasing two-strike pitches, which makes a lot of sense. Swinging at better pitches does more than just increase walks and reduce strikeouts. It also allows the batter to make better and more consistent contact. Better contact has likely been a large part of his power increase. Before the season and in Spring Training, Jackson worked with hitting coach Lloyd McClendon on reducing his high leg kick and shortening his swing. Jackson says this allows him to turn on better fastballs. "I'm extremely pleased by how quickly he adjusted and adapted," McClendon said to the Detroit Free-Press. "And really the credit goes to him because he wanted to do it and he was willing to do it." The future looks very bright for Austin Jackson. But we can find a few worrisome factors if we try. His BABIP is an extremely high .399 and despite his improved skills and terrific speed is not really sustainable. We can expect at least some regression to his career averages, though that is not as big a drop as we may once have expected. His13.3 HR/FB is not absurdly high except relative to his career 7.1 percentage. There may be some luck in his homerun rate, but again part of this is based on real improvements so it is very difficult to say how much to expect it to decline over the next 12 weeks (if at all). I am writing for a new digital magazine called Big League Monthly. This is not just a fantasy mag, though that is what I write about for them. The magazine includes great interviews with minor leaguers, features on major leaguers - this month that includes Mike Trout, Stephen Strasburg, Chris Sale, Eric Hosmer and others. Please check it out, it is completely free.